Enter to win a free cabin on Cruise to the Edge 2018! Enter to win a free cabin on board Cruise to the Edge 2018 featuring Yes, sailing February 3 – 8, 2018 from Tampa, FL. 1:Create a Karaoke style video of yourself performing a few minutes of a song by one of the bands on the upcoming Cruise to the Edge. Be creative. 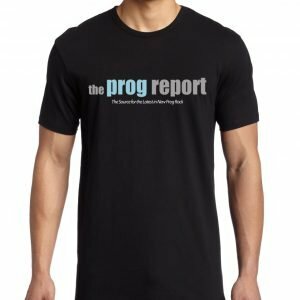 3:Share that clip on the Prog Report Facebook page: https://www.facebook.com/TheProgReport/ or to Twitter. Use the hashtag #CTTE2018Progreport. The contest ends Dec 30th at 12pm EST. So hurry and have fun. CONTEST DETAILS: THIS CONTEST IS TO AWARD ONE OCEAN VIEW CABIN (VALUED AT $2998.00) ON THE 2018 CRUISE TO THE EDGE, FEB 3-8, 2017. CRUISE INCLUDES CABIN (FOR 2 GUESTS) AND ALL MEALS IN BUFFET, AND MAIN ROOM DINING (MEALS IN THE PREMIUM DINING AREAS ARE NOT INCLUDED). CABIN WILL INCLUDE ALL TAXES, PORT FEES, ETC. BUT ALL INCIDENTALS WILL BE YOUR RESPONSIBILITY. WINNER IS RESPONSIBLE FOR ALL TRAVEL TO AND FROM THE SHIP. THIS CONTEST BEGINS AT 12pm EST ON NOVEMBER 29TH, 2017, AND ENDS AT 12pm EST ON DECEMBER 30th, 2017. NO PURCHASE NECESSARY. 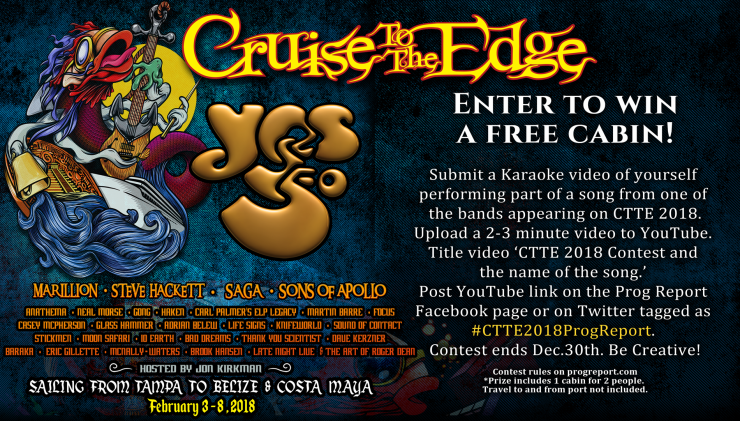 ENTRANTS MUST UPLOAD A KARAOKE-STYLE VIDEO SET TO A SONG BY ONE OF THE ARTISTS ON CRUISE TO THE EDGE 2018. THE VIDEO SHOULD BE UPLOADED TO YOUTUBE WITH THE TITLE CTTE 2018 CONTEST & THE NAME OF THE SONG.” THE VIDEO SHOULD NOT BE LONGER THAN 2-3 MINUTES (FOCUS ON KEY PARTS OF A SONG). 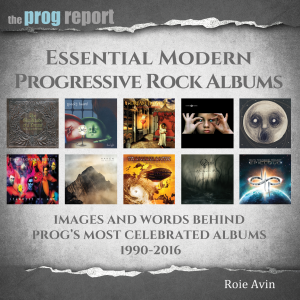 YOU THEN CAN POST THE LINK OF THE VIDEO TO TWITTER OR THE PROG REPORT FACEBOOK PAGE WITH THE HASHTAG #CTTE2018PROGREPORT. 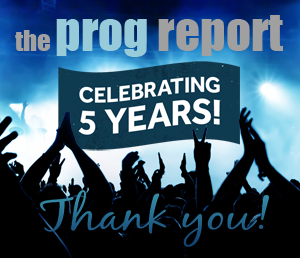 5 FINALISTS WILL BE CHOSEN BY THE PROG REPORT AND THE WINNER WILL BE CHOSEN BY ‘ON THE BLUE’/’CRUISE TO THE EDGE’ BASED ON QUALITY AND CREATIVITY OF THE SUBMISSION. WINNER WILL BE CONTACTED BY EMAIL WITHIN ONE WEEK OF BEING CHOSEN. IF WINNER CANNOT BE CONTACTED, IS INELIGIBLE, FAILS TO CLAIM THE PRIZE WITHIN 7 DAYS FROM THE TIME AWARD NOTIFICATION WAS SENT, OR FAILS TO TIMELY RETURN A COMPLETED AND EXECUTED DECLARATION AND RELEASE AS REQUIRED, THE PRIZE MAY BE FORFEITED AND AN ALTERNATE WINNER SELECTED. RECEIPT BY WINNER OF THE PRIZE OFFERED IN THIS CAMPAIGN IS CONDITIONED UPON COMPLIANCE WITH ANY AND ALL FEDERAL, STATE, AND LOCAL LAWS AND REGULATIONS. ANY VIOLATION OF THESE OFFICIAL RULES BY WINNER (AT ON THE BLUE’S SOLE DISCRETION) WILL RESULT IN WINNER’S DISQUALIFICATION AS WINNER OF THE CAMPAIGN, AND ALL PRIVILEGES AS WINNER WILL BE IMMEDIATELY TERMINATED. THIS “CRUISE TO THE EDGE” CABIN, IS BEING AWARDED TO A PROG REPORT WINNER BY “ON THE BLUE,” WHICH IS RESPONSIBLE FOR THE BOOKING AND THE CRUISE. IT IS SUBJECT TO THE USUAL TERMS AND CONDITIONS FOR ALL SUCH ON THE BLUE SPONSORED CRUISES INCLUDING THOSE RELATING TO HEALTH, CONDUCT, LIMITATIONS OF LIABILITY, WHICH MAY BE FOUND ON THEIR WEB SITE: http://cruisetotheedge.com/faq/ THE PROG REPORT HAS NO ADDITIONAL OR SEPARATE RESPONSIBILITY FOR THE BOOKING OR THE CRUISE. THE CAMPAIGN IS ONLY OPEN TO LEGAL RESIDENTS OF UNITED STATES OF AMERICA AND IS VOID WHERE PROHIBITED BY LAW. EMPLOYEES OF ON THE BLUE (CRUISE TO THE EDGE), ROYAL AVENUE MEDIA (THE PROG REPORT), ITS AFFILIATES, SUBSIDIARIES, ADVERTISING AND PROMOTION AGENCIES, AND SUPPLIERS, (COLLECTIVELY THE “EMPLOYEES”), AND IMMEDIATE FAMILY MEMBERS AND/OR THOSE LIVING IN THE SAME HOUSEHOLD OF EMPLOYEES ARE NOT ELIGIBLE TO PARTICIPATE IN THE CAMPAIGN. THE CAMPAIGN IS SUBJECT TO ALL APPLICABLE FEDERAL, STATE, AND LOCAL LAWS AND REGULATIONS. VOID WHERE PROHIBITED. AGREEMENT TO RULES: BY PARTICIPATING, THE CONTESTANT (“YOU”) AGREE TO BE FULLY UNCONDITIONALLY BOUND BY THESE RULES, AND YOU REPRESENT AND WARRANT THAT YOU MEET THE ELIGIBILITY REQUIREMENTS. IN ADDITION, YOU AGREE TO ACCEPT THE DECISIONS OF ON THE BLUE AND ROYAL AVENUE MEDIA AS FINAL AND BINDING AS IT RELATES TO THE CONTENT OF THIS CAMPAIGN. IF THE PRIZE WINNER IS SUBJECT TO U.S. TAXES, IT IS THE WINNER’S RESPONSIBILITY TO FILE A 1099 FORM. NO CASH OR OTHER PRIZE SUBSTITUTION SHALL BE AUTHORIZED. THE PRIZE IS NONTRANSFERABLE. ANY AND ALL PRIZE-RELATED EXPENSES, INCLUDING WITHOUT LIMITATION ANY AND ALL FEDERAL, STATE, AND/OR LOCAL TAXES, SHALL BE THE SOLE RESPONSIBILITY OF WINNER. NO SUBSTITUTION OF PRIZE OR TRANSFER/ASSIGNMENT OF PRIZE TO OTHERS OR REQUEST FOR THE CASH EQUIVALENT BY WINNER IS PERMITTED. ACCEPTANCE OF PRIZE CONSTITUTES PERMISSION FOR ON THE BLUE TO USE WINNER’S NAME, LIKENESS, AND ENTRY FOR PURPOSES OF ADVERTISING AND TRADE WITHOUT FURTHER COMPENSATION, UNLESS PROHIBITED BY LAW. ENTRANTS AND WINNERS WILL HOLD THE ON THE BLUE (CRUISE TO THE EDGE), ROYAL AVENUE MEDIA (THE PROG REPORT) HARMLESS AND WAIVE RIGHTS RELATING TO LIABILITIES, CLAIMS, SUITS, EXPENSES, AND DAMAGES OF ANY KIND, INCLUDING BUT NOT LIMITED TO, INVASION OF PRIVACY, RIGHTS OF PUBLICITY, DEFAMATION, PHYSICAL OR EMOTIONAL INJURY OR DISTRESS. THIS PROMOTION IS NOT SPONSORED BY OR ASSOCIATED WITH FACEBOOK. YOU UNDERSTAND THAT YOU ARE PROVIDING YOUR INFORMATION TO THE OWNERS OF THESE FACEBOOK PAGES AND NOT TO FACEBOOK. YOU MUST BE TWENTY-ONE (21) YEARS OF AGE TO ENTER.